This is one of those books that grips you by the neck, opens your skull, and fills your brain with images, voices, dialogues and fears. It’s terrific storytelling. 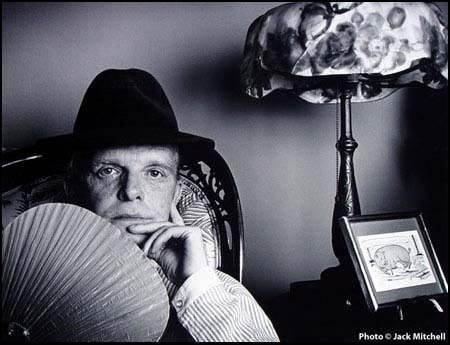 Capote did not know anything about crime until he started interviewing the murderers and detectives involved in this case. However, he portrays the characters of this story as if he had hung out with them in Kansas all his life. Somehow, Capote writes for us a captivating version of how the life of the Clutters was prior to their death, or the life of the assassins way before the murder. Following the criminals in their trip from Kansas to Mexico and back to Kansas and Las Vegas, little by little he weaves around the readers this whole world, one that terrifies us as if we were the ones waiting in that house in Kansas, that full- moon night of November in 1959.